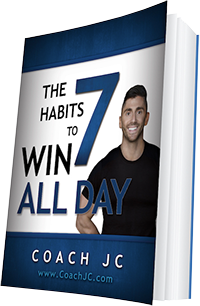 Today’s WINNING recipe to meet Coach JC’s 10 WINNING Habits is Grilled Lemon Herb Mediterranean Chicken Salad. Where are my veggies? Combine all vinaigrette ingredients and set aside. Brush kale lightly with olive oil on both sides. Place kale directly on the grill, and cook for 1–2 minutes before flipping and cooking for 1 minute on the other. Kale should wilt and char slightly. Watch closely to ensure it doesn’t burn. Repeat until all kale has been grilled. Transfer to a serving platter. 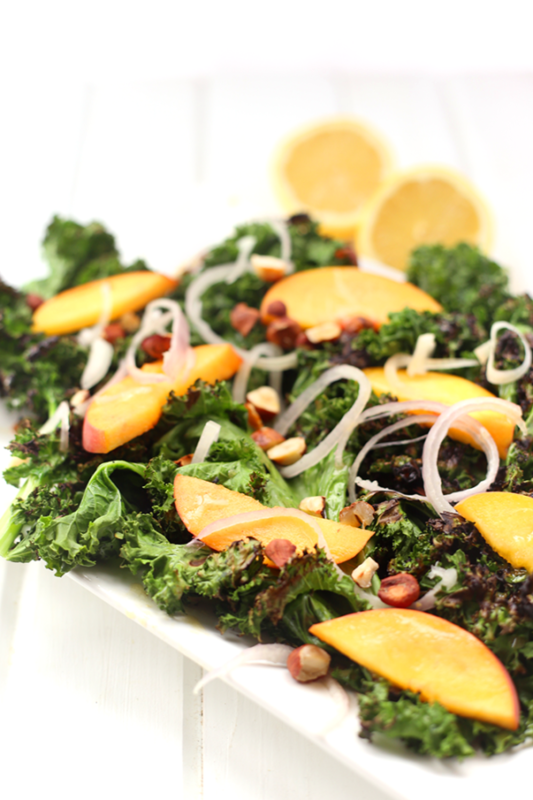 Top kale with peaches, shallots and hazelnuts. Drizzle with dressing as desired. *Recipe yields roughly 3/4 cup of salad dressing, so don’t feel as though you need to use it all. The dressing keeps well in the fridge.